Existing in the “space between the beautiful and weird”, Broccoli is a new (and free + postage and handling) print magazine for smart women who love cannabis. 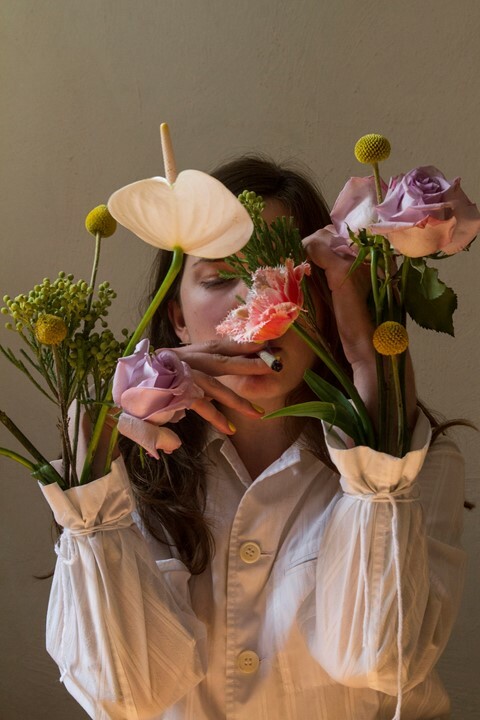 Launched this month, the magazine – whose editor-in-chief is Anja Charbonneau, former creative director at Danish lifestyle magazine Kinfolk – explores modern stoner culture by looking at cannabis through a lens of art and culture. 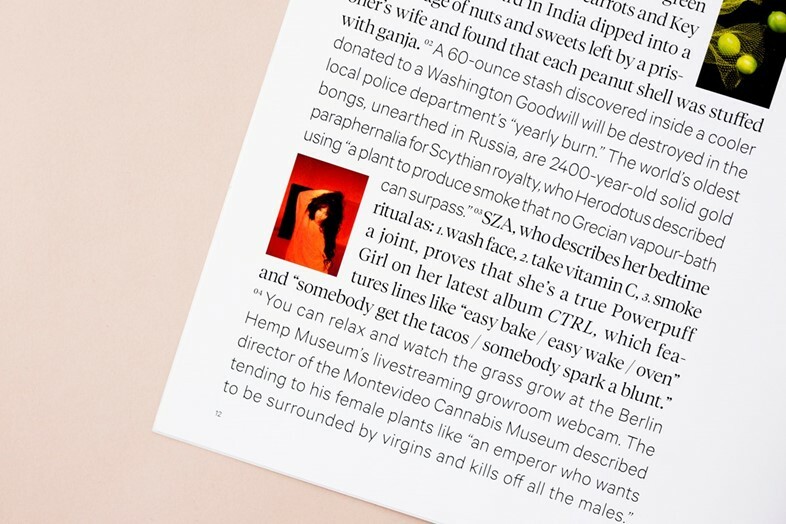 The magazine is a response to the emerging cannabis scene in places like California and Portland, where the recreational use of weed was made legal in 2016. Since then, eight American states in total have legalised it for recreational use, giving both casual and seasoned stoners easy access to the plant, while a report from New Frontier Data has predicted that by 2020, adult recreational sales are set to grow from $2.6 billion in 2016 to $11.2 billion. But in media, Charbonneau noticed that while brands were adapting to the growing market, most publications on the subject were either targeted at men or industry specific. By creating a platform for women and non-binary people, Charbonneau wanted to build a global platform for individuals to discuss cannabis is a new way. “We want to show that cannabis is already very connected to normal, accepted, beautiful parts of life,” she says. One way that Broccoli does this is by featuring people – artists, musicians, scientists – who don’t fit the mould of the ‘lazy stoner’ stereotype. “(These are) the kind of people who reflect our peers and our mentors,” she explains. 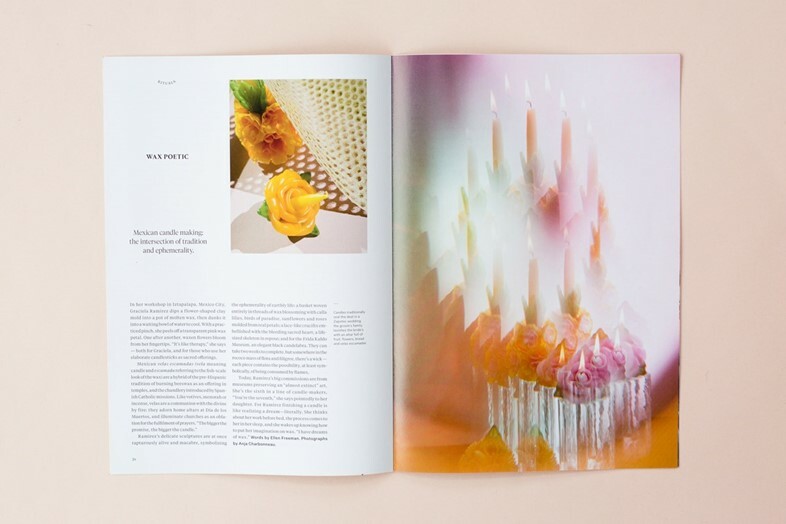 The first issue, for instance, features Korean-American “smokewear” designers Sundae School, and an article on twentieth-century abstract artist Hilma af Klint – whose paintings were said to be inspired by spirits. “Most people who use cannabis are interested in a lot of other things, it’s not always the driving force in their life,” Charbonneau explains. Instead, Charbonneau and her all-women team underline what is actually no surprise to anyone: that ambitious and creative women smoke. “Women seem to hold a lot of power in cannabis,” she explains. “There's a belief in the industry that if you can convince mothers, the rest will follow. When you think about the ways that women and non-binary people build strong communities and share knowledge with one another, it makes sense. So, when they start to talk about the benefits of accessible cannabis, word spreads quickly".